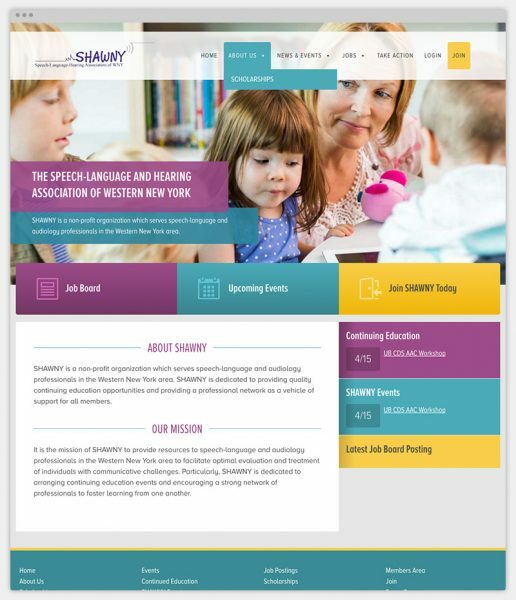 The Speech-Language and Hearing Association of Western New York (SHAWNY) is a non-profit that is built for professionals and aspiring professionals in the speech-language and audiology fields. We wanted to redesign the site to allow easy access for members, and potential members to browse and easily find answers to their questions. 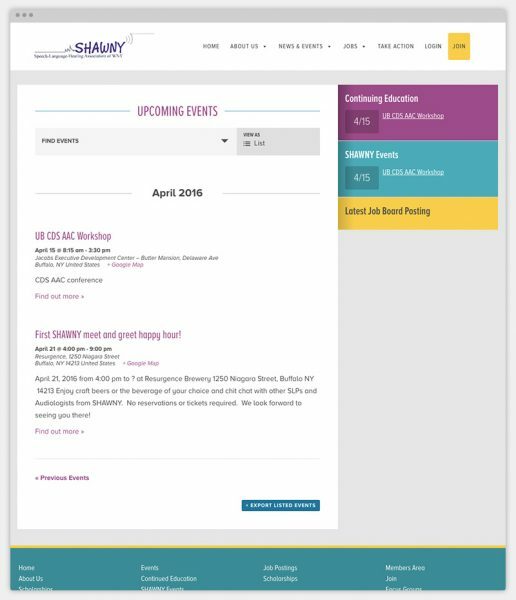 SHAWNY needed a way to control their content and easily add new events, job postings and news. The previous iteration of the organization’s website needed a refresh to showcase the power of this non-profit to the potential professionals in the field. Redesigning the website to be as helpful as the Members. Simplify layout and page structure from the previous site.